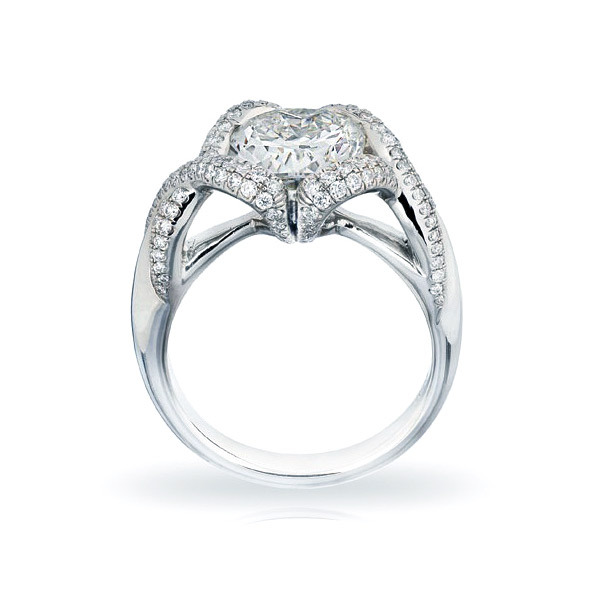 Research: Researching ring designs – this is the best place to start. Look in magazines and stores, on bridal websites, and at friends’ and celebrities’ rings to get an idea of what is out there. Collect images of designs and stones you like in order to give your designer direction. One-of-a-kind: Be open to one-of-a-kind designs that are not available in magazines or stores. Wearing a one-of-a-kind ring made just for you feels great. Choose a designer who listens to what you want and understands your lifestyle. Trust the expert to translate the ideas you have discussed into your ring. Renderings do not translate accurately into the physical world. Seeing images of past pieces and samples in the office will give you an idea of the quality and final product. Style: Know the style you are looking for – classic, antique, contemporary or modern. Choosing one style is important since there are a myriad of designs in each style. The designer will know how to guide you after seeing your research and listening to you. Stones: Stones’ grades aren’t everything. Not all diamonds have the same ability to let light pass through them and sparkle. A good analogy is two glasses of water: one is mixed with a drop of milk and looks cloudy while the other is crystal clear and lets light shine through. Diamonds are like these glasses of water; they come in a continuum from cloudy to 100% crystal clear with sparkle. This factor is not shown in the cut or clarity grade on lab reports. 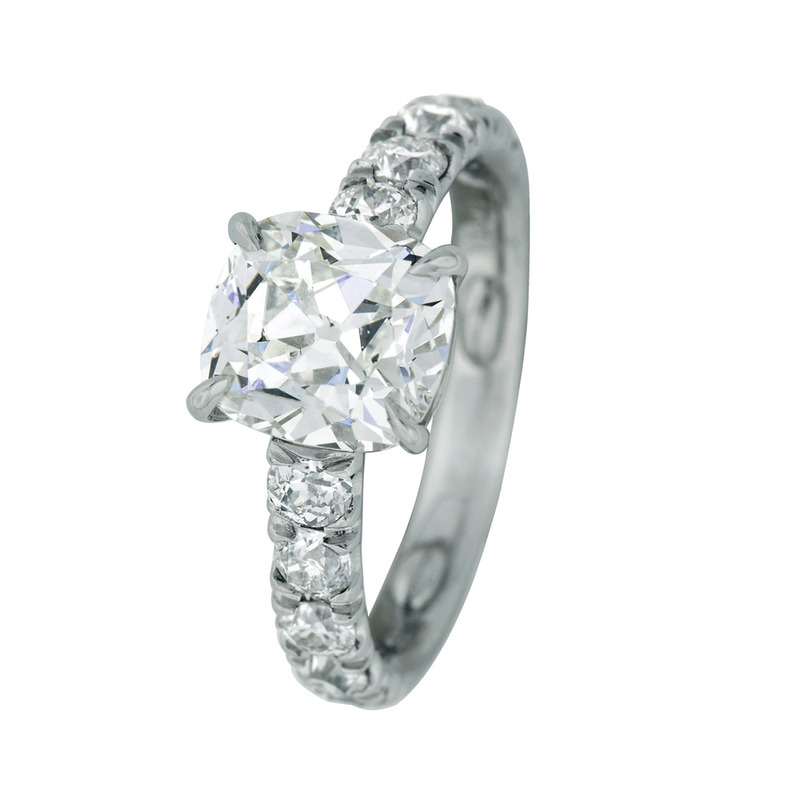 It takes an expert’s eye to make sure your diamond is 100% crystal clear. Value: Getting a great value depends on knowing how to navigate the complex pricing structure of size, color, clarity, cut and material with your personal preferences. For example, two diamonds can look identical but have different prices depending on the grades. With the right guidance, the money you save can be used for the setting and the wedding band. 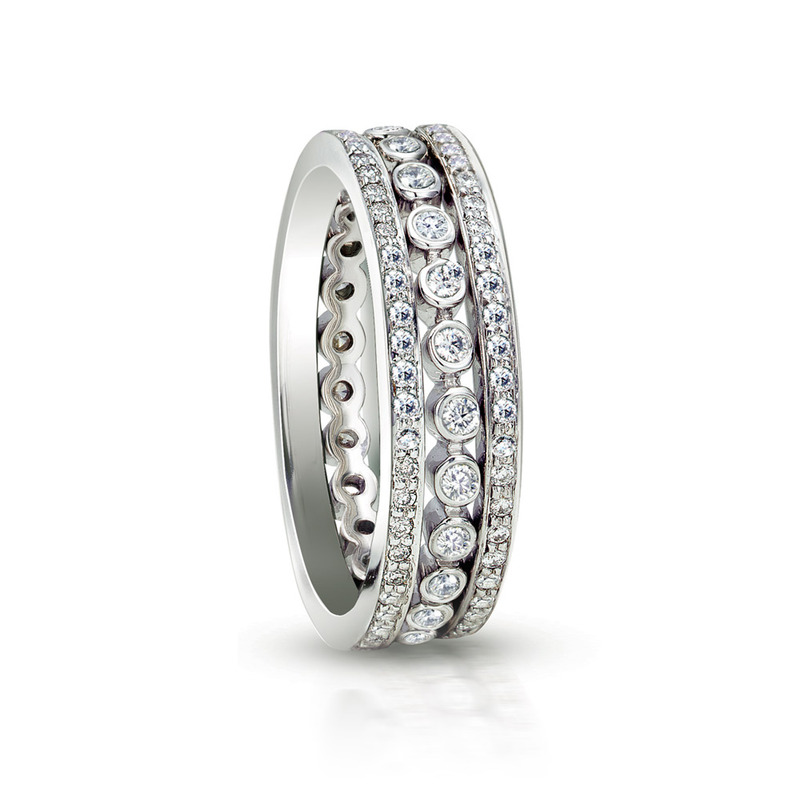 Wedding band: If you are getting a custom ring, make sure to have the band made by the same designer. This way the two fit together perfectly and match in design, and there will be no anxiety on the wedding day. Price: Balance your funds adequately between the stone and the setting. 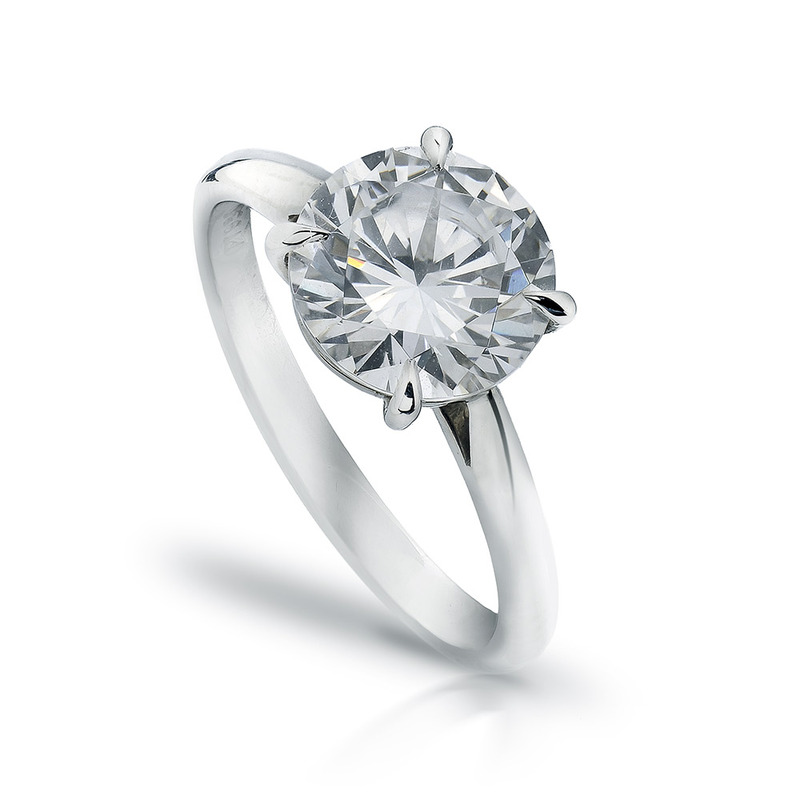 If you’ve chosen a custom-designed ring, it will be hand-crafted in precious materials. Think of a Picasso in a mediocre frame; it will not do the painting justice. But build the right frame and the combination will have timeless elegance. Color: Diamonds come in more colors than all other gems – think pink, blue, green, orange and yellow.